12. 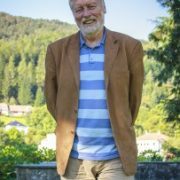 April 2019 /in Health & Wellness, News/WMC in media /by Ole Petter Drønen, dr. med. Vaccination is regarded as one of the biggest successes in modern medicine. Using just simple means, it is possible to prevent a number of life-threatening and disabling diseases. 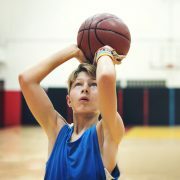 All parents want their children to live long and healthy lives, and for many, this leads them to encourage their children to participate in organized sports activities. We should certainly be grateful that some of our health complaints can be linked to lifestyle instead of just being down to chance. 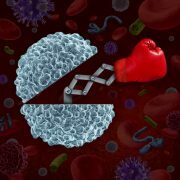 Thanks to blood tests and analysis, it is now possible to decide on the best treatment for both viruses and bacteria. Injuries of the ankle can happen to us on many occasions: while we are doing sports (landing on the foot of another player after jumping ! ), walking on uneven ground, hurrying down stairs or are on high heels. To avoid swelling, pain and a prolonged recovery, the first moments after an injury are of utmost importance. This is true when twisting you ankle or being hit by something. It does not matter, if in the end it is a contusion, strain, sprain or even a fracture or dislocation. This is a condition that produces a wide range of symptoms and which is blamed for a lot of things. 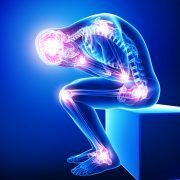 It is a widely-discussed condition, and I hope to throw some light on it here. Snoring is something that most people experience at some time in their lives. It is most common in men, though a lot of women also snore. https://www.wmc-card.com/wp-content/uploads/2018/08/Woman-covering-ears-while-man-snoring-in-bed-538622089_2125x1416.jpeg 1414 2121 Dr. Kjell Vaage /images/WMC_logo_short_blue.svg Dr. Kjell Vaage2018-09-08 15:37:392018-09-14 13:36:56Do you or your partner snore? 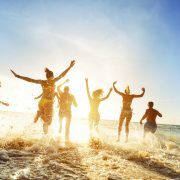 As the name suggests, this is a malignant condition feared by everyone, not least all of us who enjoy the many important benefits the sun provides. 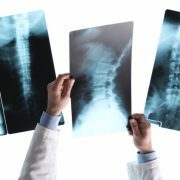 It’s no exaggeration to say that the bowel is our most pampered and stubborn organ. The bowel is always happiest at home, close to its own toilet. You can avoid sun rash altogether, and you should! Sun rash (solar dermatitis) is a form of allergic reaction to the sun that causes itching or a rash after sunbathing. Sun rash develops much more quickly than sunburn. https://www.wmc-card.com/wp-content/uploads/2018/06/Sun-Drawn-On-Womans-Shoulder-Suntan-Lotion-464347927_1287x817.jpeg 816 1286 Dr. Kjell Vaage /images/WMC_logo_short_blue.svg Dr. Kjell Vaage2018-06-15 18:02:082018-06-15 18:03:20You can avoid sun rash altogether, and you should! This year’s flu season is coming to an end, and the sound of people sneezing and coughing is common during the winter months. Some will have stayed clear of this year’s flu due to taking vaccine last fall, while others have needed antibiotics to provide some additional aid to the body’s own defence agains disease, the immune system. “Together with my family, I have chosen to sign up for a World Medical Card. for someone who is always on the move. Wintertime is candle and hot drinks time, and especially our curious children are in danger to burn their fingers or worse. Luckily, most of the burns and scaldings sustained in daily life are of low degree (grade I and II = redness and blister). However, it is worth it to bring the most important facts of first aid in those cases to mind. Unfortunately, getting older means not only getting wiser but also getting weaker, losing visual acuity and sometimes also sense of balance. This leads to an increased incidence of falls in the elderly, most of the time from a walking height. Stroke – every minute counts! The global burden of disease is in constant flux. Just a few years ago, infectious diseases accounted for the majority of deaths globally but this trend has been reversed in recent years, with most deaths now being caused by non-infectious diseases. Much of the blame is assigned to lifestyle changes and the growing number of smokers. Something the two diseases that claim the most lives each year worldwide – heart disease and stroke – have in common is that they primarily affect the blood vessels in the body. 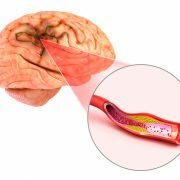 In this blog post, we’ll take a closer look at stroke. https://www.wmc-card.com/wp-content/uploads/2017/10/iStock-609685498.jpg 523 668 Jo Inge Myhre, MD /images/WMC_logo_short_blue.svg Jo Inge Myhre, MD2017-10-31 12:40:562017-10-31 12:40:56Stroke – every minute counts! Summer is finally here (in the Northern hemisphere at least) and people will go far and near to relax or experience a new adventure. If you are away from home, at least if you are visiting a foreign country it can be a smart thing to take some precautions, because you never know what is gonna happen. WMC have collected some tips to help you in your holiday planning. Lists like these will never be complete, but hopefully you will find it helpful. Antibiotics and antibiotic resistance can rapidly become abstract terms, and it can seem a little strange that medicines I get from my family doctor can have an impact that goes beyond hopefully (but probably not) making me better quickly. What’s the connection between my cold and future ‘superbugs’? Let’s get one thing clear from the start: it’s the bacteria that develop resistance, not us. The word ‘resistance’ comes from the Latin resistere, meaning to withstand or oppose. So just as we use antibiotics to withstand bacteria, the bacteria develop defence mechanisms (there are several types) against the antibiotic. Some bacteria may also exchange these ‘defence secrets’ among themselves. WMC Technologies and Securitas annnounces a strategic partnership! https://www.wmc-card.com/wp-content/uploads/2017/05/Securitas-Logo-1.jpg 300 300 Ronny Kausland, CEO /images/WMC_logo_short_blue.svg Ronny Kausland, CEO2017-05-22 12:15:172017-06-27 12:16:29WMC Technologies and Securitas annnounces a strategic partnership! What is antibiotic and antibiotic-resistance? One case that has been widely publicized in recent times has been the ever-increasing use of antibiotics and the fear of so-called antibiotic resistance. But what is it talking about. 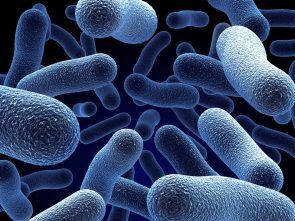 Who is becoming resistant to antibiotics? Is it us who are administered the antibiotics or the bacterium itself. And why is it that sometimes we get antibiotics at the doctor and sometimes not? The word antibiotic comes from Greek; Anti-fighting, opposing, or killing and bios-life and it is a collective term for several different types of drugs that are all used to oppose, fight & kill the growth of microorganisms, in particular bacteria. Penicillin is perhaps the most famous of all the different types of antibiotics and it was the first antibiotic that was discovered by mankind. Such an effective remedy for bacterial infections has revolutionized medicine and it has become a prerequisite for a lot of modern treatments such as organ transplantations, cancer treatments and more, where infections are always a risk. Bacteria are a very diverse group of organisms. 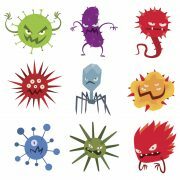 There are more types of bacteria than animals and birds together, most of whom are harmless, while some are dangerous. Therefore, many different types of antibiotics have been developed to cope with the various types of dangerous bacteria. But the disadvantage of having different types of antibiotics is that bacteria have the ability to develop so-called resistance, they develop a defense against the antibiotic. 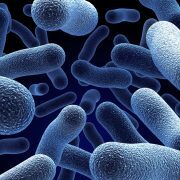 Therefore, the antibiotics becomes ineffective against the bacteria. There shall be more about the ‘resistance phenomenon’ in the next blog. 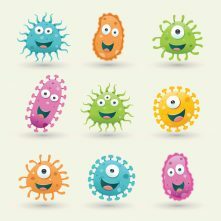 As mentioned, antibiotics are very effective against bacteria, but bacteria are not the only microorganisms that can lead to infection. Now in spring, infections with different types of viruses are very common. But antibiotics have no effect on viral infections whatsoever, even if you feel as bad. That’s the reason why we sometimes get antibiotics from our doctor, and sometimes not, even if we feel as bad. https://www.wmc-card.com/wp-content/uploads/2017/04/iStock-92100114.jpg 887 1183 Jo Inge Myhre, MD /images/WMC_logo_short_blue.svg Jo Inge Myhre, MD2017-04-25 12:28:072017-06-21 12:29:58What is antibiotic and antibiotic-resistance? The UN marks today 25. 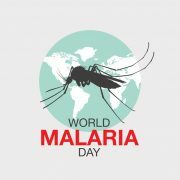 April as World Malaria Day. The purpose is to raise awareness about a disease that can be treated and prevented to some extent, but which nearly kills 500,000 people annually. In Norway, there are between 30 and 100 cases of malaria per year. Common to these are that they are infected abroad. So should you travel to tropical or subtropical areas, it is therefore important to investigate whether or not to take any additional precautions. What is really blood thinning medicine? 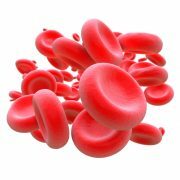 Millions of people world wide are use blood thinning agents on a daily basis in order to treat a disease or prevent one. These are vital medications for those who use them, but they are not to be underestimated. So what is it that they really do? As the name suggests, they affect our blood in a way that makes it less “sticky” and not in fact thinner. https://www.wmc-card.com/wp-content/uploads/2017/03/iStock-187579147.jpg 1024 1024 Jo Inge Myhre, MD /images/WMC_logo_short_blue.svg Jo Inge Myhre, MD2017-03-27 11:48:252018-02-20 10:09:44What is really blood thinning medicine? When you go on holiday, your allergies go with you. Asthma and allergy are becoming more common in the general population, and it is also not uncommon to develop allergies in adult age. 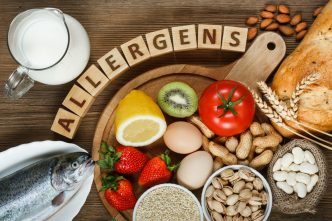 The word word allergy comes from Greek “Allos” = changed and “Ergos” = reaction, and simply said, the body (the immune system) will respond in a particular way to an allergen like nuts, which is tolerated by others. Allergy is not a disease per se, it is hypersensitivity of our body where the immune system is involved. 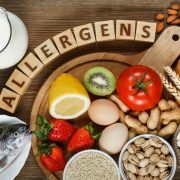 Allergens are usually a type of protein. Proteins are found everywhere in nature, so it’s basically the imagination that limits what you can be allergic to. 1)If you are planning to travel by air / abroad, please contact both the airline and the hotel to see how they can help you. 2) If you are dependent on, for example, the Epi Pen (used in acute severe allergic reactions) check the shelf life before you fly out. 3) If you are allergic to pollen, be aware that the polling season varies from place to place, so you may want to start with your medicines even before you travel. 4) Bring a booklet / pocketwatch or similar where you can show explain what you are allergic to in the local language. Remember, that WiFi is not always available, so something written down / small book might be appropriate. https://www.wmc-card.com/wp-content/uploads/2017/01/iStock-538167266.jpg 836 1254 Jo Inge Myhre, MD /images/WMC_logo_short_blue.svg Jo Inge Myhre, MD2017-01-19 11:39:082018-02-20 10:10:06When you go on holiday, your allergies go with you. World Medical Card is a personal emergency health card. Should you require medical attention, no matter where you are in the world, health personnel can open your sealed emergency card and check your health profile. The card increases the chance that you will receive fast and accurate medical attention.